Apple’s iPhone 6 and 6 Plus have been cracked opened and stripped by repair site iFixit, which has revealed key specifications and repairing gripes. Head over to Apple’s website and peruse the specs page of the latest iPhone 6 and 6 Plus. The tell-all page has some unusual omissions, including details on the battery and other processing components. Fortunately repair site iFixit has disassembled a brand new iPhone 6 and 6 Plus. Notes of specs in the iPhone 6 include 1GB of RAM and a 1810 milliamp-hour battery. The 6 Plus has the same 1GB RAM, but a much larger 2915 milliamp-hour battery. Bigger batteries don’t necessarily translate to better battery life. Both the iPhone 6 and 6 Plus have bigger screens with higher resolutions, which demand more power from the battery. For the sake of comparison, Apple’s iPhone 5S has a 1560 milliamp-hour battery. Apple use a custom A8 chipset with 64 bit architecture for the iPhone 6’s processor. Reports claim the iPhone 6 has a 1.3GHz dual-core CPU, while 6 Plus runs a 1.4GHz dual-core CPU. 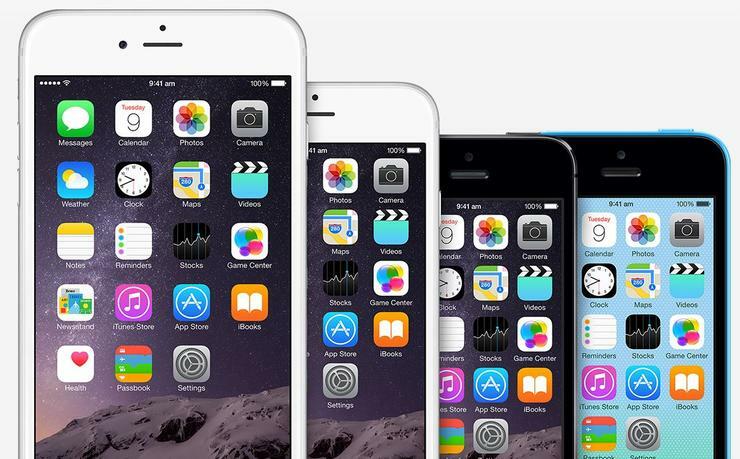 Most of the components used in the iPhone 6 range are manufactured by Qualcomm, Texas Instruments, Skyworks and Avago. Apple has made notable improvements to the assembly to its new range of iPhones, which should make repairing common faults easier. Replacing the display assembly should be less difficult as it the first component to be removed. Swapping out the battery is relatively simple, but it does necessitate a proprietary pentalobe screw driver and know-how on removing some adhesive. A common gripe with the iPhone 5S was the wiring affixed to the finger scanner. Prying the screen open of the iPhone 5S caused the wire to grow taut and, if opened carelessly, caused it to tear. Apple has improved this assembly by rerouting the cable. The iPhone 6 and 6 Plus is considered a marked improvement for Apple smartphones and scored a respectable 7 out of 10 by iFixit. Holding the smartphone’s repair rating back was the use of proprietary pentalobe screwdrivers and Apple’s reluctance to share “repair information with independent repair shops or consumers”.